It’s quick and easy to turn on Theater Mode. The setting toggles your watch into silent mode and also stops the screen from lighting up when you raise your wrist. That’s great cinema etiquette, but it also will keep your Apple Watch from shattering the darkness in your bedroom if you happen to move your arm as you sleep. Quickly enable Theater Mode from Apple Watch Control Center. Once you’ve updated to watchOS 3.2, it’s totally simple to turn on Theater Mode. From your Apple Watch face, swipe up from the bottom to bring up Control Center. Tap the new icon for Theater Mode (it’s the one with two masks). The icon will turn from gray to orange, and the Silent Mode icon will turn from gray to red. Swipe down to shut Control Center. On your watch face, you will now see the Theater Mode icon in the top middle position (as per the screenshot above). Once enabled, you will need to tap your watch face to show the time. Swipe up on your watch face to bring up Control Center. Swipe down to shut Control Center. The tiny Theater Mode icon will disappear from your watch face. 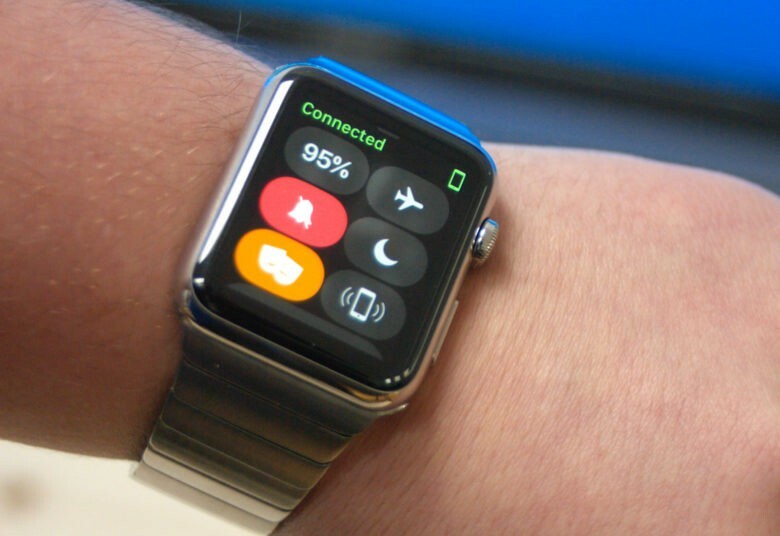 Note: Theater Mode won’t affect the haptic feedback provided by Apple Watch’s Taptic Engine. If you want to dial down the ferociousness of those attention-getting wrist taps, you can tweak your taptic feedback settings. Got other uses for Theater Mode? I hope this quick tip keeps all you Apple Watch sleep trackers from getting an unwelcome blast of light in the middle of the night. Please let me know if you find any other other alternative uses for Apple Watch Theater Mode in watchOS 3.2.